Corporate Sustainability Strategies performs GRESB Assessments utilizing its GRESB-Assist Tool and supports GRESB reporting enhancements. The Global Real Estate Sustainability Benchmark (GRESB) is an industry-driven organization committed to assessing the sustainability performance of real estate portfolios (public, private and direct) around the globe. The dynamic benchmark is used by institutional investors to improve the sustainability performance of their investment portfolio as well as achieve greater transparency into that performance. GRESB collects information regarding the sustainability performance of real estate companies and funds. This includes information on performance data, such as energy, GHG emissions, water and waste. In addition, GRESB also covers broader sustainability issues, such as sustainability risk assessments, performance improvement programs, and engagement with employees, tenants, suppliers and the community. While environmental performance is at the heart of GRESB’s work, social and governance issues are included in the approach to sustainability. 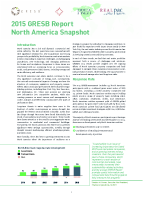 The annual GRESB benchmark includes seven sustainability aspects. For parties that focus on development activities, the benchmark also includes a New Construction & Major Renovations aspect. Many investors and advisers, including many large domestic and foreign institutional investors, are GRESB members and have not only appreciate participation, but have come to expect participation, even if not yet a contractual requirement. On behalf of USAA Real Estate Company (Realco), CSS has helped drive GRESB performance success resulting in Realco being recognized as a leader in sustainability and reinforced its brand as an industry leader. Five out of the six years of GRESB’s existence, one or more of Realco managed portfolios have placed in the top quartile of participating entities being recognized as Green Stars due to strategic leadership of Corporate Sustainability Strategies. In fact multiple CSS clients achieved Green Star performance in part based on support and expertise provided, and one client was ranked a “Sector Leader” in North America (#1 GRESB Ranking). 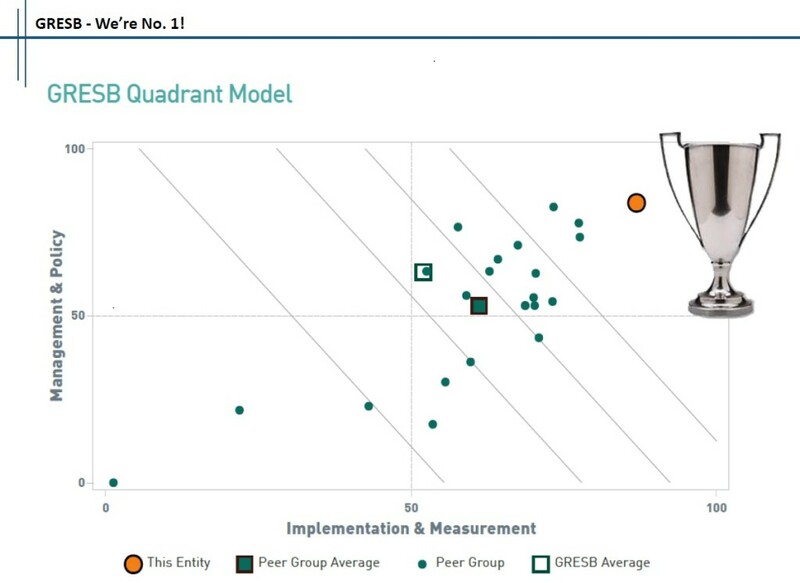 The GRESB survey process includes almost a hundred “pages” of questions about sustainability performance: policies, operating strategies, retrofits, certifications, training, and most importantly data are all integral to GRESB. Just reading the 147 page GRESB Guidance document can be daunting. With proven success in GRESB reporting, CSS can help organizations prepare for participation and successful results. Too CSS can develop a robust sustainability strategy and execution approach to drive top performance not only within the GRESB framework but also drive improved profitability. USAA Real Estate Company is a valued CSS Client and has achieved #1 in North American Peer Group GRESB ranking. With concentrated efforts, planning and foresight, CSS can assist firms in gaining and maintaining industry leadership and recognition for sustainability initiatives. However to execute on the business case strategy, we need to develop tailored fund level strategies, and then engage JV partners and property management providers to support execution. By improving participation and results at the fund/entity level, CSS Clients should benefit from gaining and maintaining a leadership position around sustainability, positively impacting brand, and supporting growing investor and tenant interest. In addition, the impact on financial performance, using the business case approach to these efforts where we save more than we spend to execute, should support fund level and organizational level performance goals.